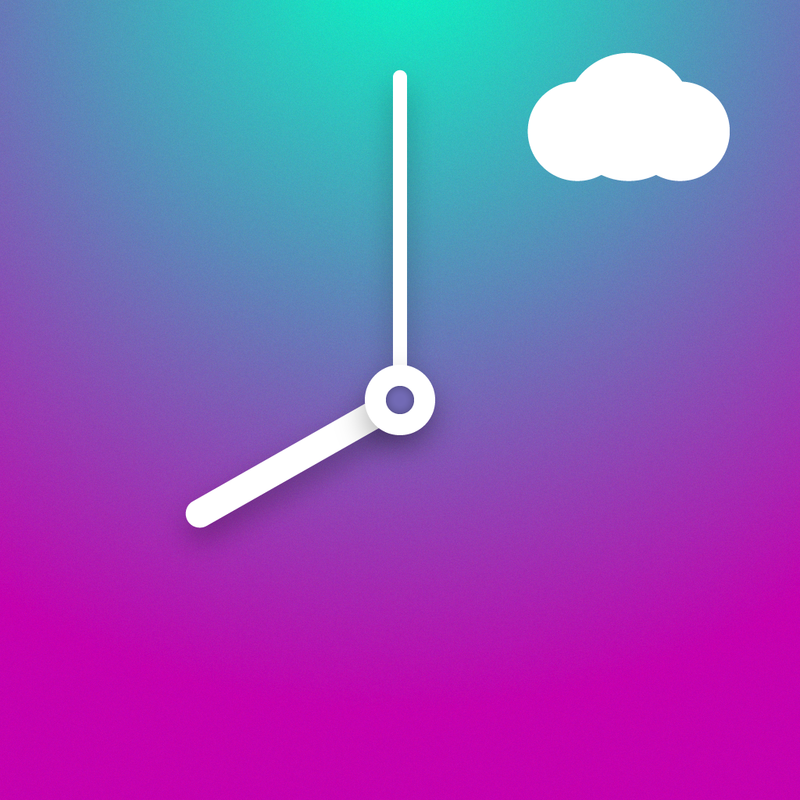 Climate Clock - Minimal Hourly World Weather Forecast ($0.99) by Benjamin Wong is a beautiful clock for your iPhone that does double duty as a weather app as well. Hey, who doesn’t love beautiful multitasking apps such as this one? 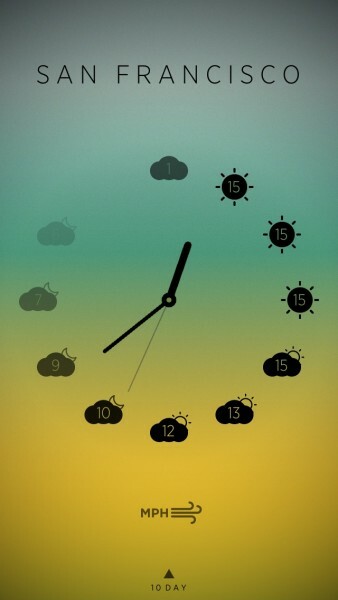 I’m a sucker for beautiful clocks, such as Rise Alarm Clock, and weather apps, like Haze. But this means that I am taking up two spaces on my iPhone — one for a clock and another for weather. With Climate Clock, you’re eliminating the need for two separate apps, although please keep in mind that this app does not have an alarm. When you launch Climate Clock, it will prompt you for your current location. 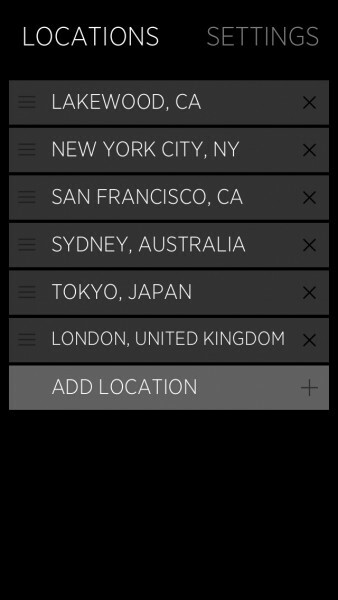 You can give the app permission to do so, or you can manually add cities if you don’t like using Location Services. The main screen in Climate Clock will feature an analog clock face, however, rather than displaying numbers for the hour, you will see icons representing the weather conditions and temperature at that hour. This is much more useful than just seeing a number, isn’t it? Taking a look at Climate Clock in the beginning of the day will help you get an idea of what the rest of the day is going to be like, and you can plan accordingly. You’ll notice that not all hours will be displayed (it displays the current hour and nine after for a total of 10 hours at a time) — that’s probably because the app does not have any information to display yet, but you can always check the app later. 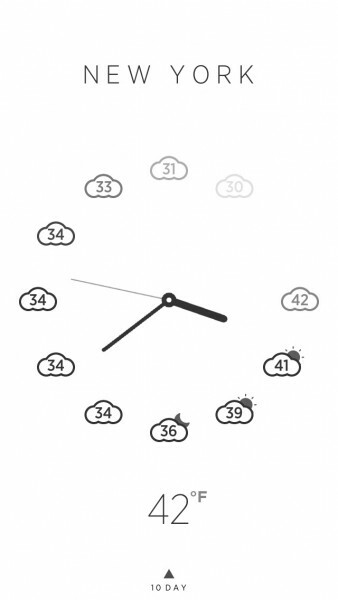 So the first face of the clock is for temperature, which everyone can use. 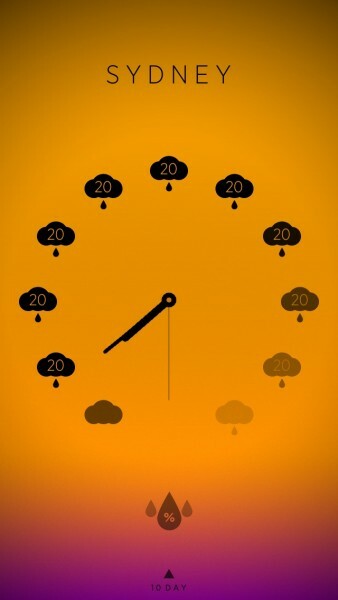 Tapping anywhere on the screen will change it to show precipitation chance, and again will bring up wind speed. A third tap will bring it back to temperature. Regardless of which view you’re looking at, Climate Clock will always have the condition icons in place. A swipe up from the bottom (or tap) will bring up the 10-day forecast, complete with the highs/lows and conditions. If getting an hourly look at the weather is enough, you can even plan out the rest of your week from this app! It’s quite nifty, to say the least. 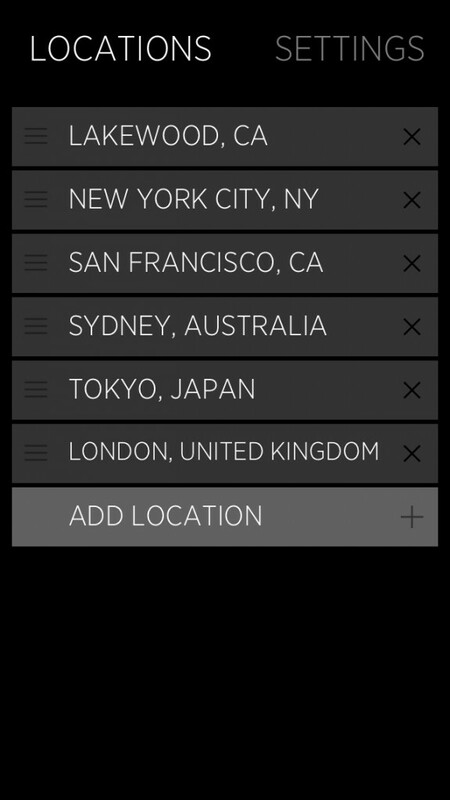 If you prefer to have multiple locations (even global), just swipe left or right to search and add them. 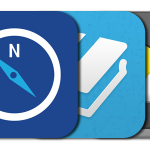 Once you have a collection of cities, you can navigate between them by swiping left and right. 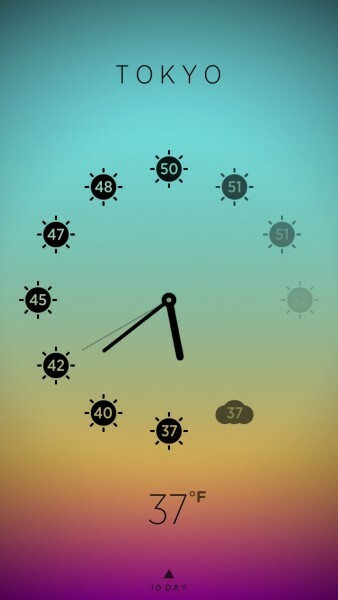 The settings for Climate Clock are accessed from the most left screen. 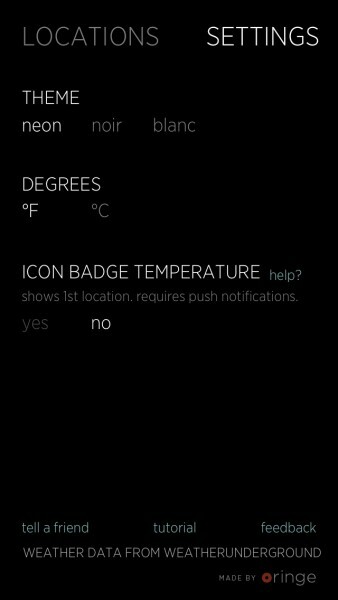 You can choose from one of three themes (Neon, Noir, and Blanc), choose the temperature unit (Fahrenheit or Celsius), and even toggle the icon badge temperature (first city only). I personally appreciate the option for different themes, but for this app, I’m totally in love with the Neon theme. 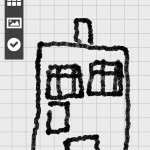 The colors are vivid, eye-catching, and it definitely adds some spark to the app. The gradients also are different, depending on the time. The Noir and Blanc themes are nice, but they are static and do not change, which I find a bit boring. 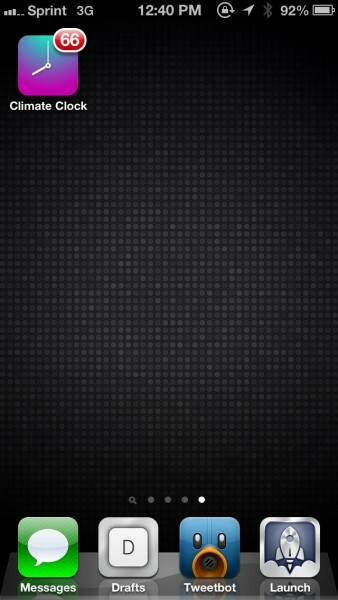 I highly recommend sticking with the Neon theme for this app. This is obviously a weather app designed for the minimalist in mind. However, I think it definitely needs to have weather alerts for those who live in areas that may have them quite often. 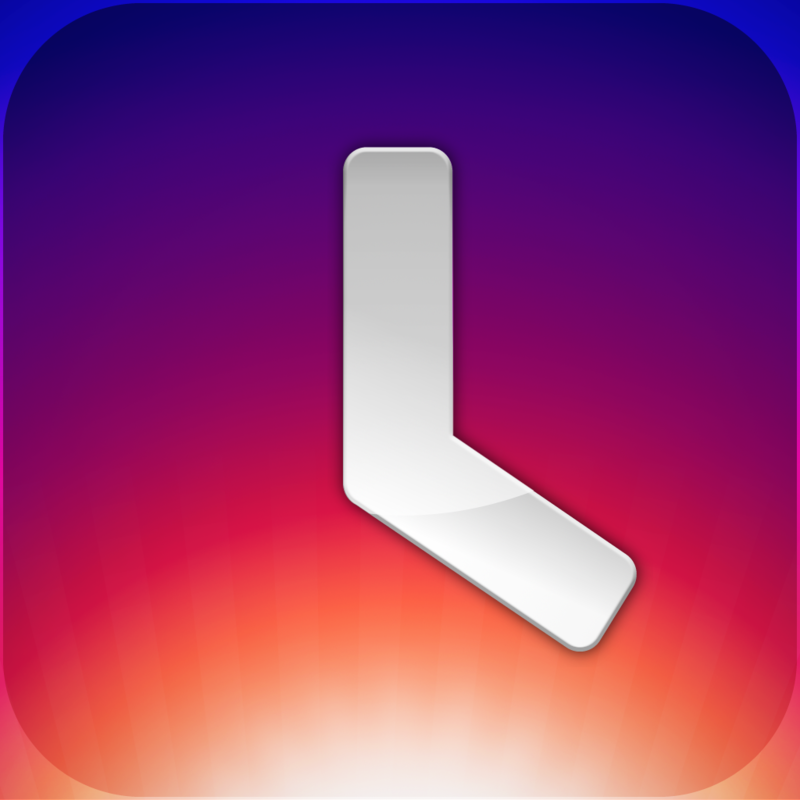 I would also love to just replace my alarm clock with this app as well, so perhaps it’s something that the developer can consider. 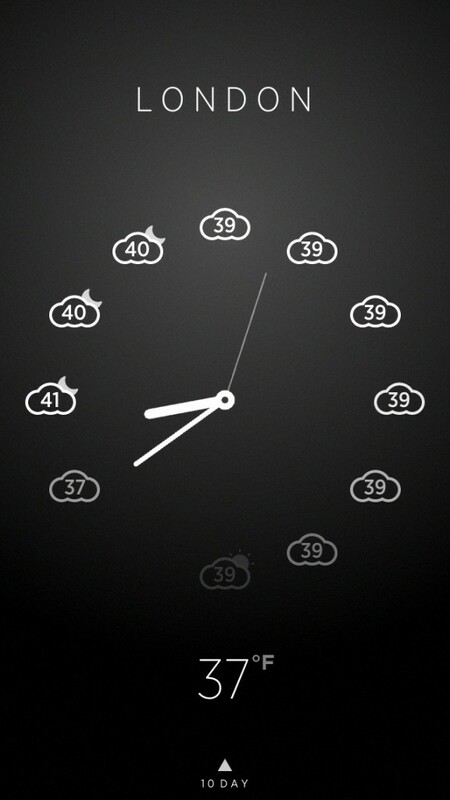 Regardless, Climate Clock is a gorgeous app that makes it a joy to check the time and weather at once. 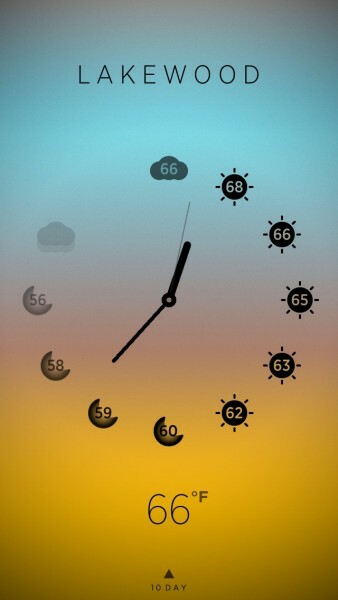 If you love apps that do two things well, or just love having some new eye candy, then go check out Climate Clock. It’s available in the App Store for your iPhone for $0.99. 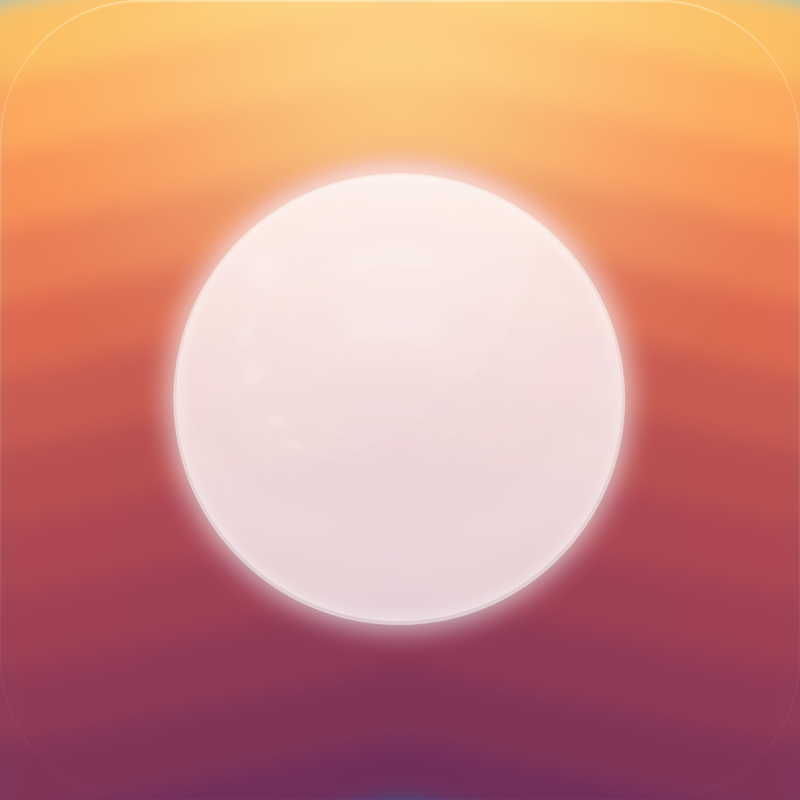 For more iPhone weather apps, make sure to check out our Best iPhone Weather AppGuide.